Download the Internet2 mobile app – Search for Internet2 Events in the Apple App Store or Google Play. Note: Skip this step if you already have the Internet2 App on your device—but make sure you have updated to the latest version. 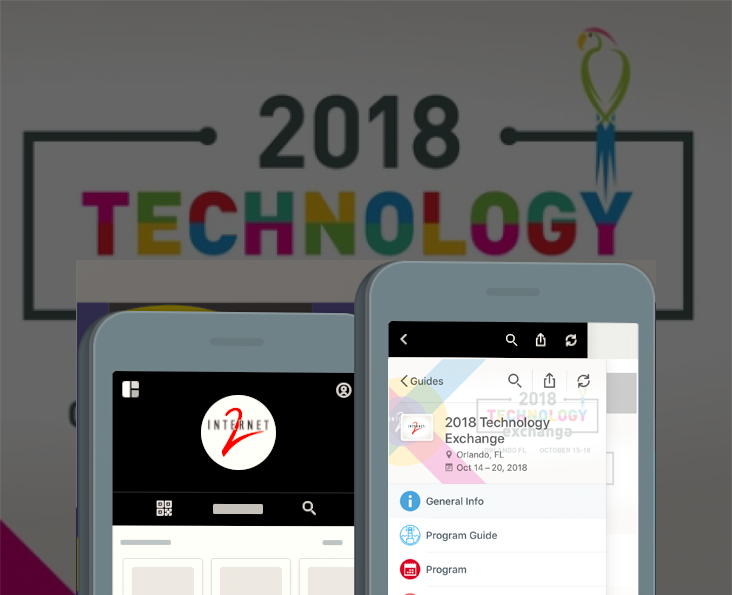 Get the 2018 Technology Exchange app – Find the 2018 Technology Exchange guide in the Public Guides section and download! Stay up to date! Remember to allow updates to your Internet2 Events app—and update your Technology Exchange app often!